Home > Hud-1 Software	> Can Calyx Software Produce HUD1 statement from the G.F.E? 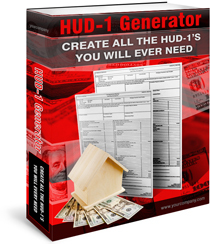 At this time Point does not offer HUD-1 Statements, but you do have the ability to transfer data from Point to one of hundreds of closing doc prep company’s . The Closing Doc Company list is located in Interfaces/Closing Doc, then choose any one of the company’s that you have an account set up with to produce a HUD-1 statement. Hopefully this answers your question, if not please feel free to reply.